Timothy L. Newlove, Administrative Law Judge (ALJ), Office of Administrative Hearings, Special Education Division, State of California (OAH), heard this matter on January 12, 2007, in Poway, California. 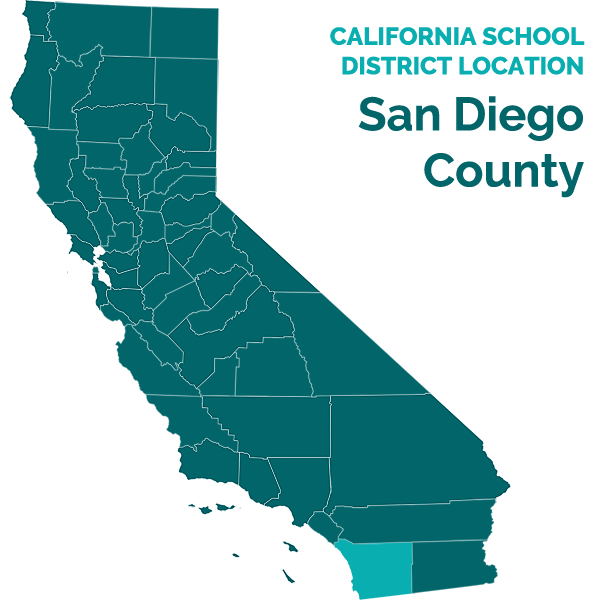 Attorney Justin R. Shinnefield, of Atkinson, Andelson, Loya, Ruud & Romo, represented Petitioner, Poway Unified School District (District). JoAnn Murphy, Executive Director of Special Education, also appeared for the District. The hearing commenced at 9:30 a.m. Neither Student nor his parents were present at this time. The ALJ requested that District make an attempt to call Respondent’s mother. At 9:45 a.m., attorney Shinnefield reported to the ALJ that District had contacted Respondent’s mother who stated that she was driving to the hearing site. The parties waited until 10:30 a.m., when the hearing recommenced. Neither Student nor his parents appeared at the hearing. On December 8, 2006, Petitioner filed with OAH the request for due process hearing in this case. On December 19, 2007, Student’s mother made an appearance in the matter on behalf of Student. On January 2, 2007, OAH granted a brief continuance of the scheduled due process hearing. The Prehearing Conference Order which continued the hearing date was properly served upon Respondent. Under Education Code section 56505, subdivision (f)(3), the decision in this matter is due on or before January 31, 2007. Oral and documentary evidence was presented, closing argument was made, and the matter was submitted on January 12, 2007, at 1:00 p.m.
Is the District entitled to assess Student based upon an assessment plan dated August 30, 2006? The District contends that, although the District must perform Student’s triennial assessment on or before November 17, 2007, conditions warrant an immediate and comprehensive assessment of Student. District seeks the right to perform an early triennial assessment of Student. 2. A district that seeks to reassess a special education student must give proper notice of the intent to reassess. The notice must include the assessment plan that describes the proposed assessments. The proposed assessments must meet statutory guidelines for valid assessments and the proposed assessors must be trained, knowledgeable and competent to perform the assessments. In addition, for a reassessment, the district must review existing information and develop current data in order to determine the educational needs of the student. 3. Student has reached the age of majority: he turns 19 in March 2007. He resides with his parents within the geographical boundaries of the District. He is entitled to receive special education and related services under the disability category of specific learning disability. Student has a severe discrepancy between ability and achievement in math and written language with auditory processing, planning and attention deficits. 4. For the 2002-2003 school year, the District enrolled Student in the ninth grade at Westview High School. Student attended about two weeks of school during his freshman year at Westview. On January 17, 2003, the District offered an assessment plan to conduct a comprehensive assessment of Student. Student’s parents refused to allow the District to conduct the proposed assessment. The District then filed a request for a due process hearing with the Special Education Hearing Office (SEHO) seeking the right to conduct the comprehensive assessment. On March 28, 2003, SEHO issued a Decision which upheld the District’s right to conduct the proposed assessment of Student. This comprehensive assessment took 20 months to complete. 5. For the 2003-2004 school year, Student attended 10th grade at Westview High School. Student attended only two and one-half months of school during his sophomore year at Westview. 6. For the 2004-2005 school year, Student attended 11th grade at Westview High School. On October 28, 2004, the District finally completed the comprehensive assessment based upon the January 2003 assessment plan. The District took 20 months to complete the assessment because Student rarely attended school and because Student’s parents did not make their son available for the assessment procedures. On November 18, 2004, the District convened an individualized education plan (IEP) meeting from which the District made an offer to Student of special education and related services for the 2004-2005 school year. Student’s parents later challenged the adequacy of this offer. On April 13, 2006, OAH issued a Decision which both upheld the validity of the comprehensive assessment of Student and found that the District had offered a free and appropriate public education to Student for the 2004-2005 school year. (OAH Case No. N2005080077.) Student attended only one month of school during his junior year at Westview. 7. For the 2005-2006 school year, the District enrolled Student in the 12th grade at Westview High School. However, Student did not attend a single day of class for his senior year. Instead, Student received home-schooling from his mother and engaged in self-study. Student has not received a regular high school diploma. 8. On August 30, 2006, the District sent an assessment plan to Student and his parents. By law, the District must perform a triennial assessment of Student no later than November 17, 2007. The assessment plan represented a request to perform an early triennial assessment of Student. The assessment plan proposed to assess Student in the following areas: (1) academic achievement, (2) psycho-motor development/perceptual functioning, (3) intellectual development, (4) social/emotional/adaptive behavior, (5) health, (6) prevocational/vocational, and (7) a records review and observation. The assessment plan, on the reverse side, contained a notice of parental and procedural rights under federal and state law relating to special education disputes. 9. In the August 30, 2006 assessment plan, the District proposed to have a special education teacher administer to Student the assessment of academic achievement. The District planned to have Michael Murray give the Wechsler Individual Achievement Test (WAIT 2) and the Woodcock-Johnson Achievement Battery (WJ-R 3) for this assessment. Mr. Murray is a credentialed special education teacher at Westview High School. He taught algebra to Student during his junior year at the high school. Mr. Murray has extensive experience in administering the WAIT 2 and WJ-R 3 assessment materials to students. 10. In the August 30, 2006 assessment plan, the District proposed to have an occupational therapist and a psychologist administer to Student the assessment of psycho-motor development/perceptual functioning. Chene Coordt is a credentialed occupational therapist. The District planned to have Ms. Coordt administer two elements of this assessment: (1) the Bruininks-Oseretsky Test of Motor Proficiency (BOT 2) and (2) the Adolescent & Adult Sensory Profile (AASP) in which the student self-reports and the occupational therapist interprets the answers. Ms. Coordt has experience administering the BOT 2 and interpreting the AASP. Hilary Ward is a credentialed school psychologist who helped develop the subject assessment plan. The District planned to have Ms. Ward administer the remaining elements of the psycho-motor development/perceptual functioning assessment: Bender-Gestalt 2, the Motor-Free Visual Perception Test, the Wechsler Individual Achievement Test, and the Woodcock-Johnson Achievement Battery. Ms. Ward has extensive experience in administering such assessment materials to students. 11. In the assessment plan, the District proposed that a psychologist administer to Student the assessments of intellectual development and social/emotional/adaptive behavior, and perform the observation of Student and the review of his records. The District planned to have Ms. Ward, as a school psychologist, perform these assessments. For the assessment of intellectual development, the District proposed to have Ms. Ward give Student the Wechsler Tests of Intelligence. For the social/emotional/adaptive behavior assessment, the District proposed to have Ms. Ward give Student the Achenbach/Child Behavior Checklist and Sentence Completion. Ms. Ward has extensive experience administering such assessment materials to students. She also has extensive experience in the observation of students and the review of student records. 12. In the assessment plan, the District proposed that a guidance technician perform the prevocational/vocational assessment which involves post-high school planning. Kathy Bloomfield is a guidance technician at Westview High School. She has held this position for two years. The District planned to have Ms. Bloomfield administer to Student a Vocational Interest Inventory as part of this assessment. Ms. Bloomfield is experienced in performing the prevocational/vocational assessment. 13. In the assessment plan, the District proposed that a District resource nurse perform the health assessment of Student. The District planned to have Gayle Cohen perform this assessment. Ms. Cohen is a licensed registered nurse in California and she has been a school resource nurse for 15 years. Ms. Cohen has extensive experience in performing student health assessments. 14. The purpose of the August 30, 2006 assessment plan was to allow the District to assess Student’s present levels of educational performance and establish a special education program for the 2006-2007 school year. Due to the Student’s absence from high school and the refusal to cooperate by his parents, the District had not been able to assess Student since the comprehensive assessment completed in October 2004. Teachers and special education personnel at Westview High School did not have knowledge of Student’s academic and functional skills because they had not had the opportunity to work with Student. The District needed to update information concerning Student’s educational needs and establish appropriate goals and objectives for him. 15. Neither Student nor his parents responded to the August 30, 2006 evaluation plan. On September 11, 2006, the District sent a letter to Student, with a copy to his mother, referencing the assessment plan and requesting a response. Student and his parents did not respond to this letter. 16. On September 21, 2006, the District convened an IEP meeting for Student. The District held the meeting at the request of Student’s mother who attended the meeting for a short period of time. During this IEP, Student’s mother requested that the District perform the following assessments of Student: (1) occupational therapy, (2) an assessment for Asperger’s (autism), and (3) a referral to County Mental Health. In the August 30, 2006 assessment plan, the District had already proposed to perform an occupational therapy assessment. The IEP team declined to make a referral of Student to County Mental Health because the team decided that such a referral was not necessary. On October 5, 2006, the District sent to Student, with a copy to his mother, a letter informing that the District did not agree to conduct an assessment of Student in the area of autism. 17. The District gave proper notice of the August 30, 2006 assessment plan to Student and his parents. The assessment plan is set forth in easily understood English and describes the assessments that the District proposes to perform. The assessment plan states, in part, that “(N)o placement in a special education program or provision of other services will be initiated without your written permission.” The assessment plan contained a notice of procedural safeguards. The District has given Student and his parents more than 15 days to consent to the assessment plan. 18. In the August 30, 2006 assessment plan, the District proposed to perform assessments that are valid and reliable for the purpose of gathering information concerning Student’s present levels of academic achievement and his current educational needs. The proposed assessments are comprehensive and tailored to evaluate Student’s specific educational needs. The proposed assessments are necessary to determine whether the District must make modifications or additions to Student’s special education program. The proposed assessors are trained, knowledgeable and competent to perform the assessments set forth in the assessment plan. 19. The District is entitled to reassess Student based upon the August 30, 2006 assessment plan. The District has shown that conditions warrant an early triennial reassessment of Student. The District needs current information regarding Student in order to provide an appropriate educational plan. The District took reasonable steps to obtain the consent of Student and his parents for the implementation of the assessment plan. 11. Based upon Factual Findings 3 through 19 and Applicable Law 1 through 10, the District is entitled to assess Student based upon the assessment plan dated August 30, 2006. The District cannot prepare an appropriate educational program for Student without current information concerning his academic skills and educational needs. The District cannot meet the statutory obligations for a reassessment without such current information. Student must make himself available for the proposed reassessment; otherwise, he is not entitled to receive special education and related services under IDEA and related state law. 1. The District may conduct a reassessment of Student according to the assessment plan dated August 30, 2006. 2. If Student wishes to receive special education benefits at public expense, Student, with the assistance of his parents, must make himself reasonably available for the proposed assessments recited in the August 30, 2006 assessment plan.